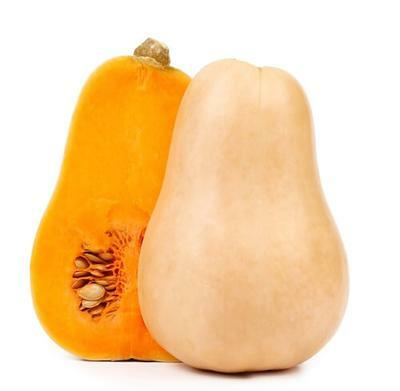 Butternut squash is a vine crop of the cucurbit family. This tropical crop is an alternative choice four pumpkin lovers. This is because the butternut squash fruits not only looks like a tiny pumpkin but also tastes like the pumpkins. Locally we don’t have a specific name for the cucurbit as its kinder an exotic plant. Butter stick- this takes 52 days, producing bright buttery yellow, straight necked fruit with nicely contrasting green stem. Dark green-this takes 48 days, producing 8-10 inch long uniform fruits. Papaya pear- this takes 40 days to harvest, producing pear or papaya shaped fruits which are bright yellow. Yellow crook neck- this takes 58 days to harvest, producing light yellow fruits with a bent neck. Best results are obtained on well drained fertile soils, with high organic matter and a pH range of 6.0 to 7.5. 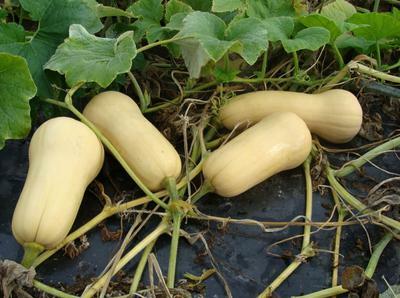 Butternut squash is directly seeded; alternatively seeds can be started in the bed to enable proper plant growth. However seedlings must be transplanted before they become root-bound in seed trays. Prepare space meant for planting by ploughing to loosen soils so as to create fine field. Remove any residue from previous crops should be well-rotted. Incorporate in the ground organic fertilizers as butternut squash responds well on organic matter but also use of inorganic matter can give best results. To plant, open up holes at least 1-2 cm deep, maintain a spacing of 40cm between plants and 1.5m in rows. Sow 2 – 3 seeds into the holes. Lightly cover with a thin layer of soils. Water to make the ground slightly damp. Once the seeds have germinated, pinch off the weak ones so you are left with the strongest. Butternut squash is ready for marketing after 7-8 weeks from sowing. To harvest, use a sharp knife to cut the fruit from the plants. The stem should not be broken off as this can provide entry point for post harvest pathogens. You can sell the harvested crop produce at the farmer markets like Nakaseero, kalerwe and even be supplied to individual restaurants. The produces can also be well packed and supplied to supermarkets or high end customer chains like five star hotels. Clear space meant for planting. Open up 2cm deep holes in rows maintaining 45cmx45 cm spacing. Sow 2-3 seeds per ridge or hole. Then gently cover with soil. Water to provide moisture needed for the seeds to germinate. Phosphorous and potassium fertilizer regimes can be incorporated to enhance the fruiting process. After the seedlings have about 4 leaves, thin them to the required field spacing. Mulch the field when the seedlings are about 3-4 weeks to protect plant from cucumber beetles. Have a spraying routine against viral, fungal, and bacteria disease. Harvest your crop 7 to 8 weeks from planting.